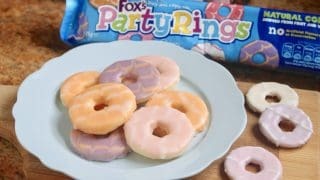 Homemade Party Rings will bring back memories of happy, birthday parties for those of us who grew up in the UK. 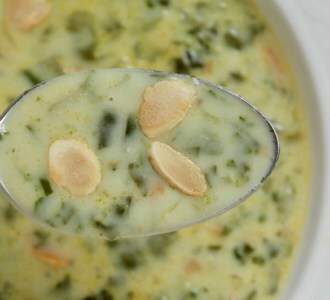 This homemade version is a healthier take on the recipe for your children and grandchildren. 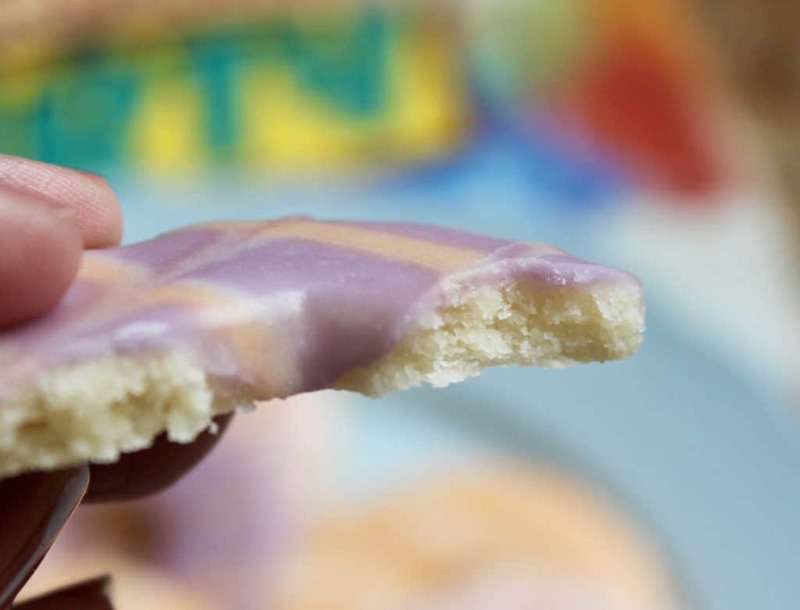 If you grew up in the UK, these pastel colored biscuits need no explanation. 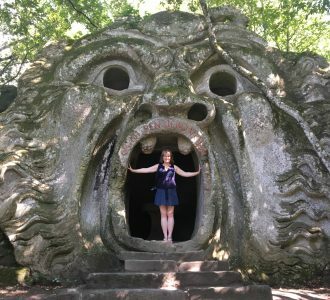 However, as I know many of you won’t be from the UK, these were (are?) 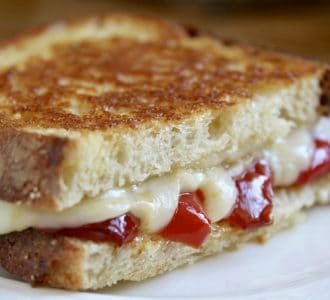 a staple at children’s birthday parties. Why not? 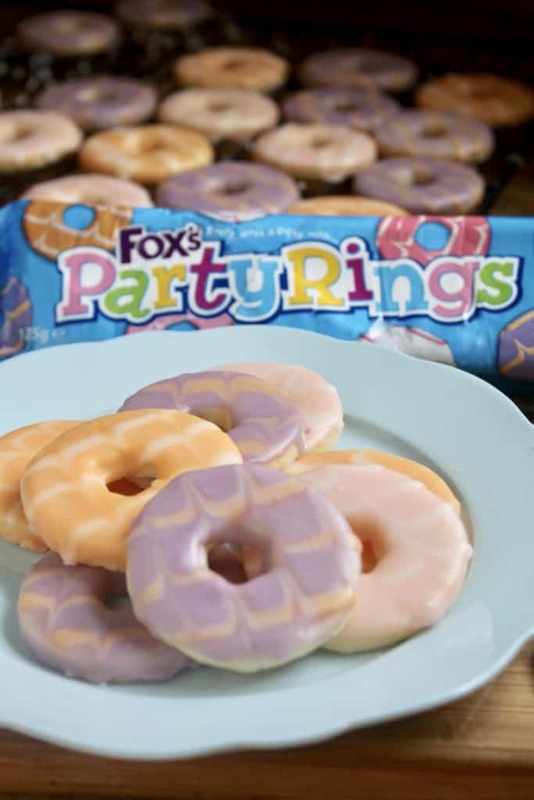 They are called “Party Rings”! My daughter gave me a set of British biscuit cutters a couple of years ago for my birthday because she knew I had been eyeing them on Amazon. 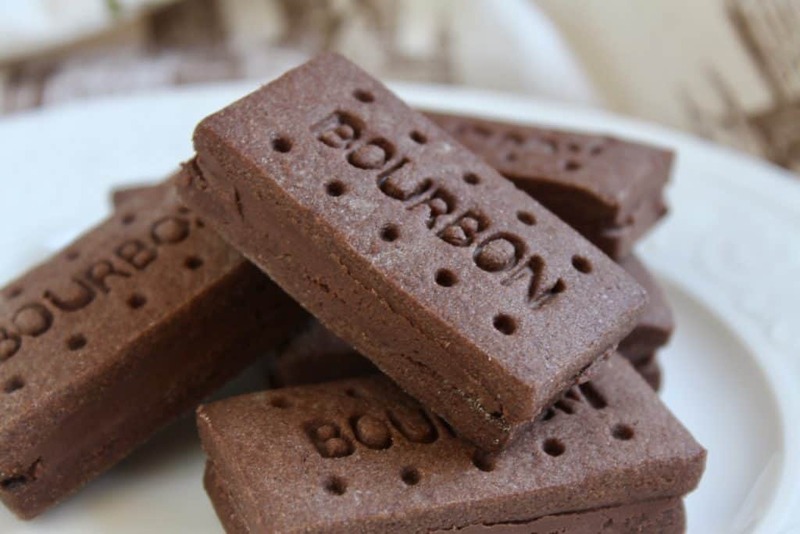 I’ve already posted the recipe for Bourbon Biscuits using the cutter. I had already shared the recipe for Custard Creams before she bought them for me, but I had just made a rolled and pressed version. 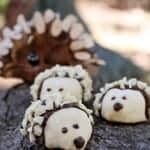 I still need to add the photos of these biscuits when made with the cutter in the traditional shape. 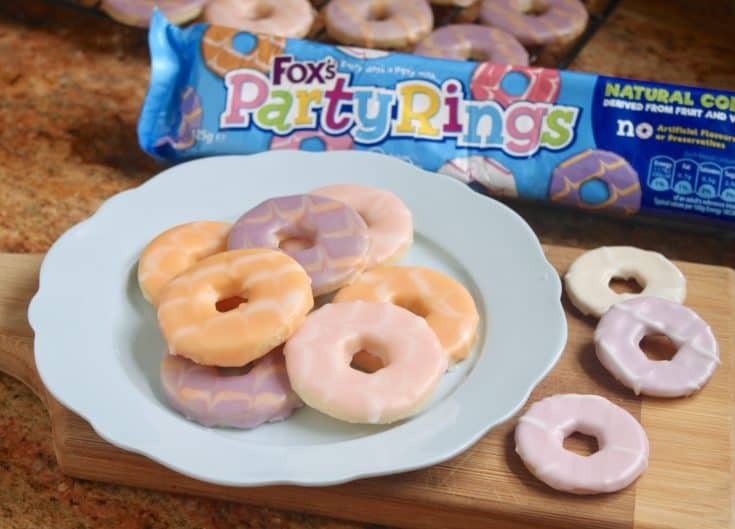 Next are the Party Rings (and the last ones will be Jammy Dodgers)! 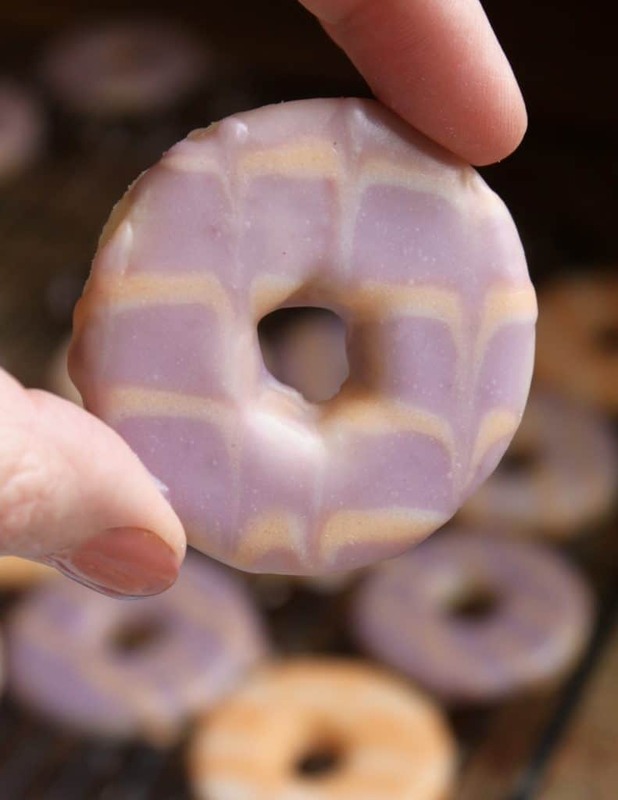 These are essentially sugar cookies coated in an icing glaze. 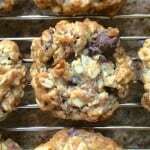 Let me show you exactly how to make them. 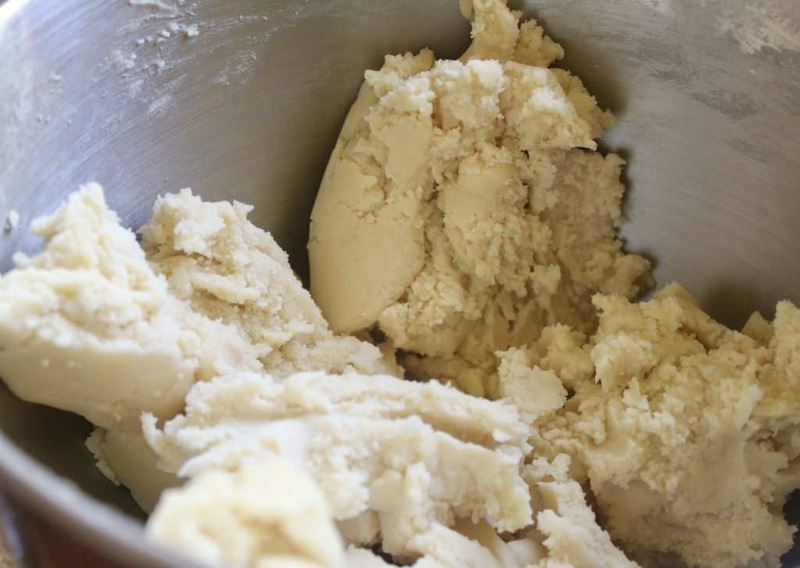 Add the flour and mix until a dough forms. 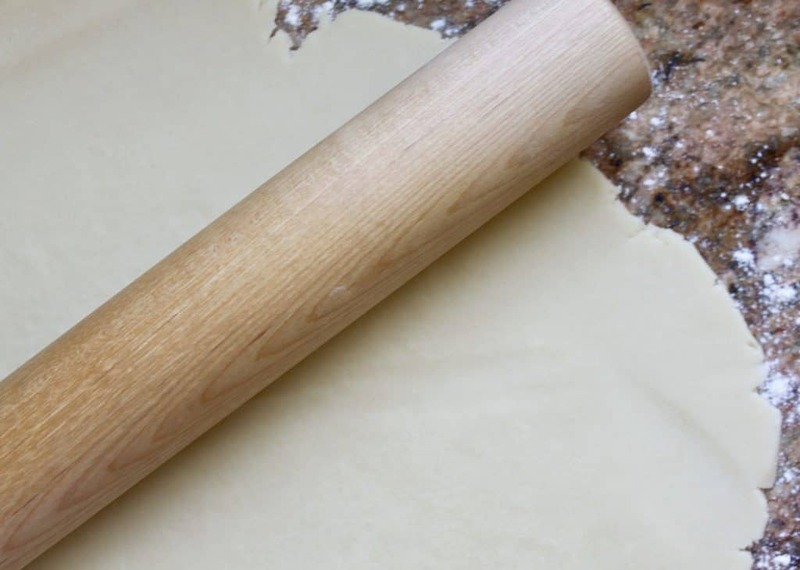 Bring the dough together on a flour dusted counter, then begin to roll it out. Roll out to about 1/4″ thick. 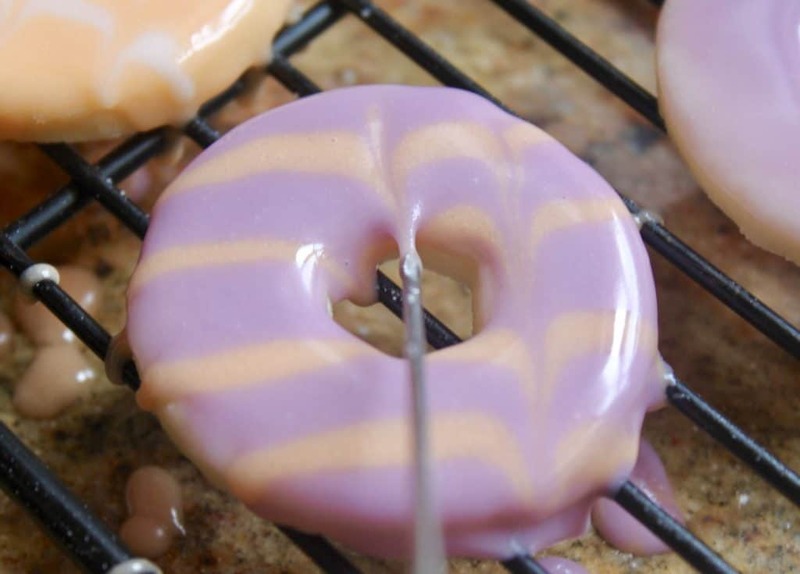 Using the Party Rings cutter, cut the pastry. 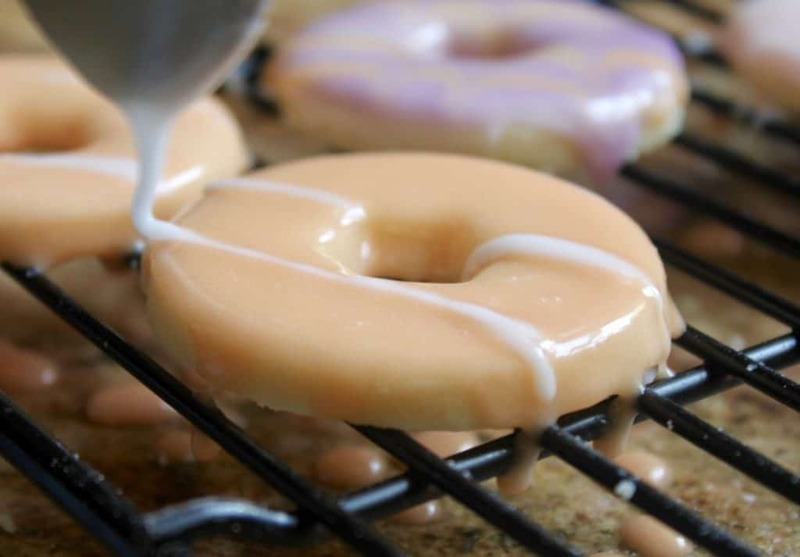 Now use the inner cutter for the center hole of each homemade party rings biscuits, then place on a silicone lined baking tray. Bake in a 350º F ( 175º C) oven for 8-10 minutes. Remove from oven and allow to cool completely on a rack. 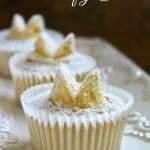 Make the icing using the confectioner’s sugar and just enough water to make a runny consistency. 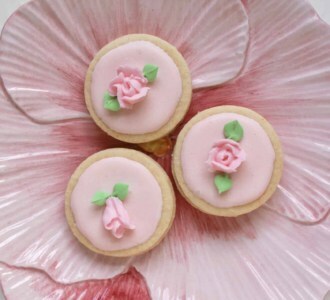 If a biscuit is dipped into the icing, a little will drip off, but won’t all run off. Divide the icing into four bowls. Leave one white, color the other three: pale purple, light pink and pale orange. 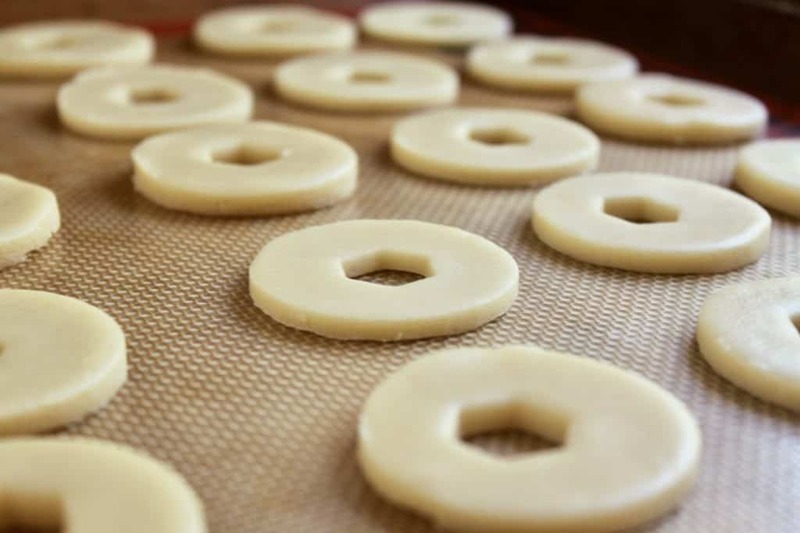 Dip some of the homemade party rings biscuits and place back on the rack. 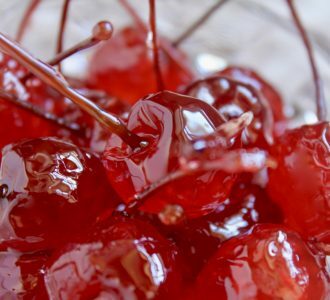 Before the icing sets, take another color of icing and pull lines across the top from a teaspoon or knife. Next, take a skewer or toothpick and make lines across the icing lines you just made. Allow to dry completely. 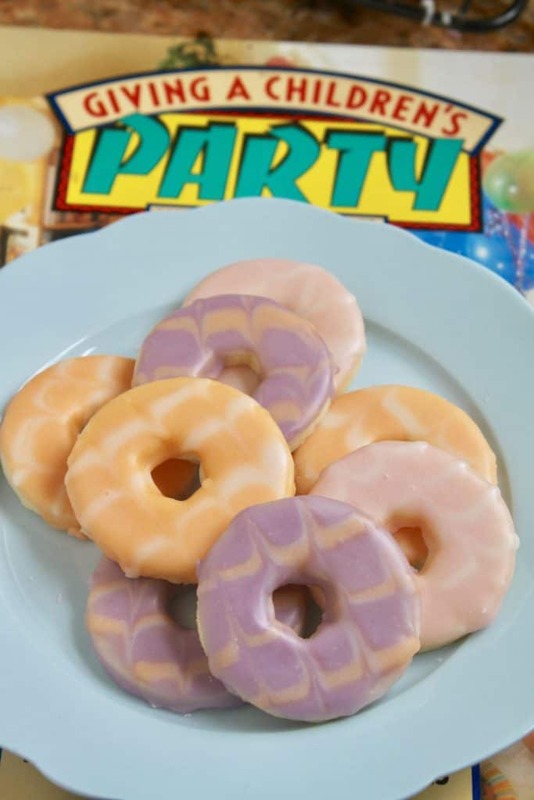 Repeat with the rest of the homemade party rings biscuits with the other colors. 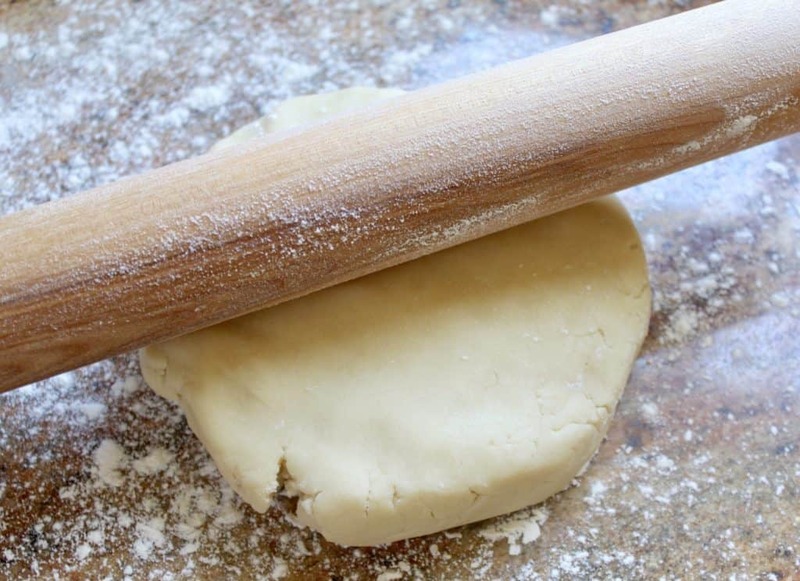 They’re a simple, buttery biscuit with a light glaze. I bet everyone will love them! 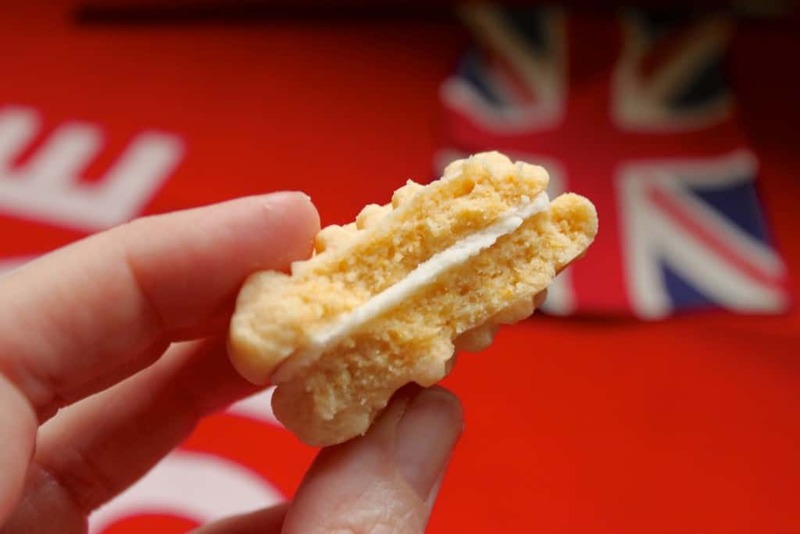 A copy of a classic children's favorite cookie in the UK. Roll out to about 1/4" thick. 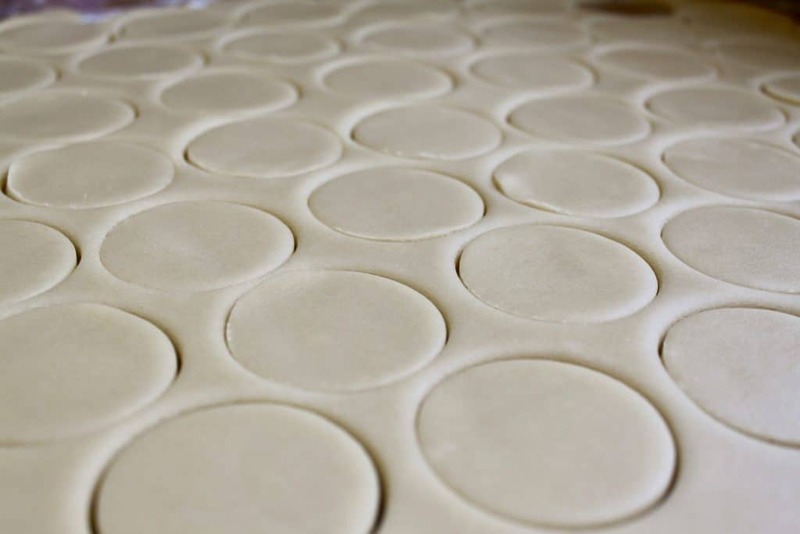 Use the inner cutter for the center hole of each biscuit, then place on a silicone lined baking tray. 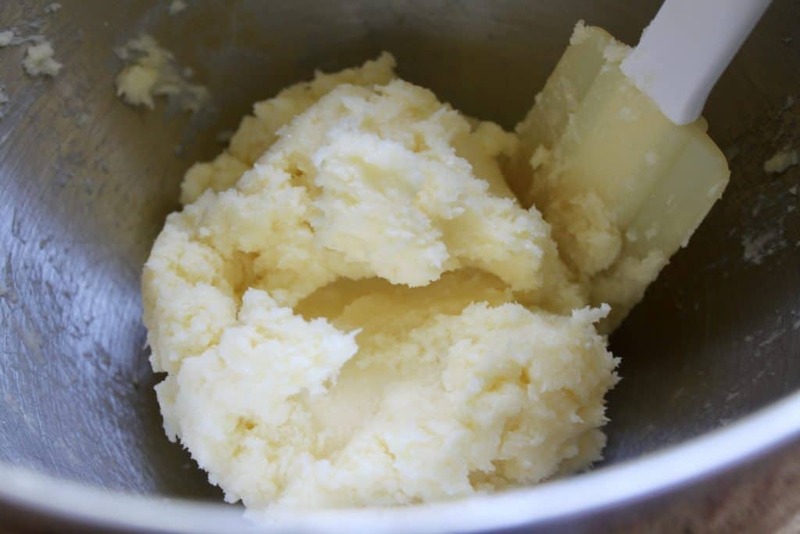 Make the icing using the confectioner's sugar and just enough water to make a runny consistency. If a biscuit is dipped into the icing, a little will drip off, but won't all run off. I don’t remember party rings when I was in England…but they sure are pretty! And they have “party” written all over them! Gosh, I really remember them, Christina! Had no idea what they were called but remember they were very sweet and loved their pastel patterned glazed tops. How clever of you to make your own! Love your fancy personalised tea towel, btw! 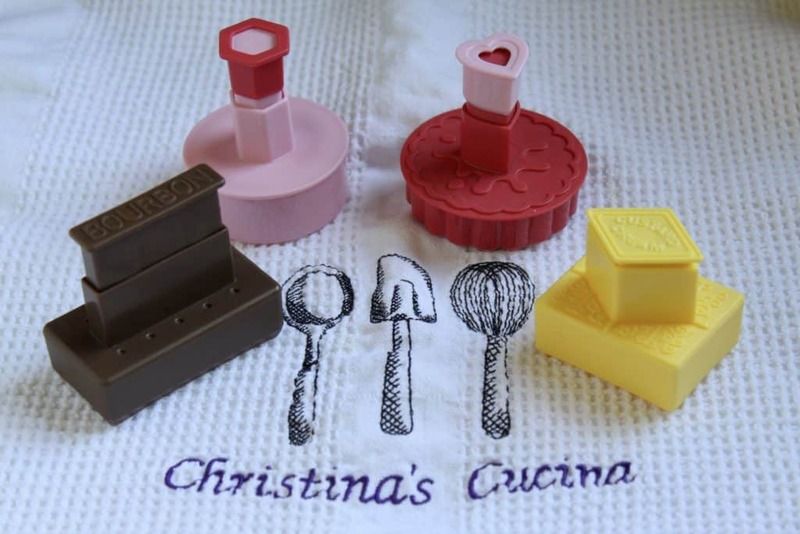 These are sweet little works of art, Christina! 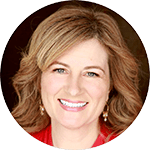 I certainly didn’t know them before, but now will know to look for them when I am in the UK! (Or jus ”man up” and make some of my own! 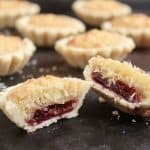 Looking forward to the Jammy Dodgers!